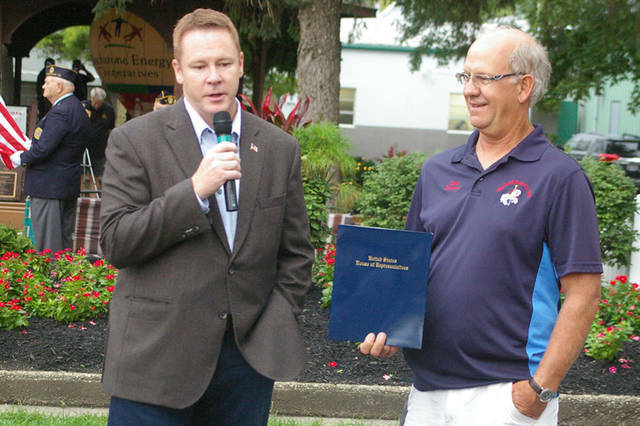 GREENVILLE – The 162nd Darke County Fair opened Friday morning with a ribbon cutting ceremony concluding just seconds before raindrops started to fall at the fairgrounds. 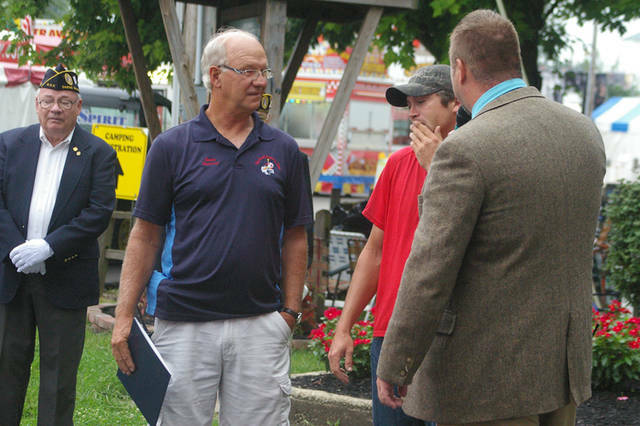 Fair Manager Brian Rismiller and Fair Board President Dean Neff welcomed fairgoers to the start of the 2018 Fair. 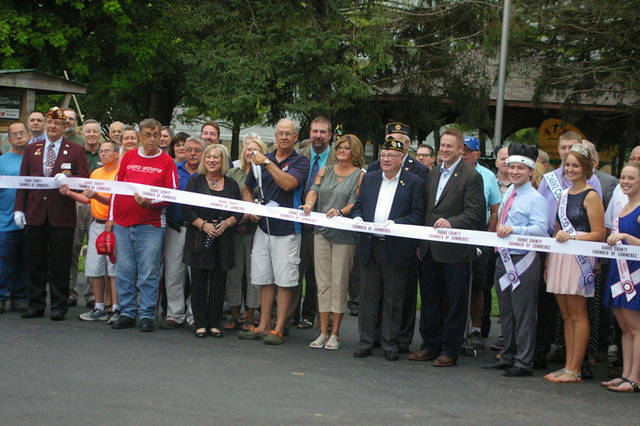 They were joined by Rep. Warren Davidson, the congressman from Ohio’s 8th District, which includes all of Darke County. 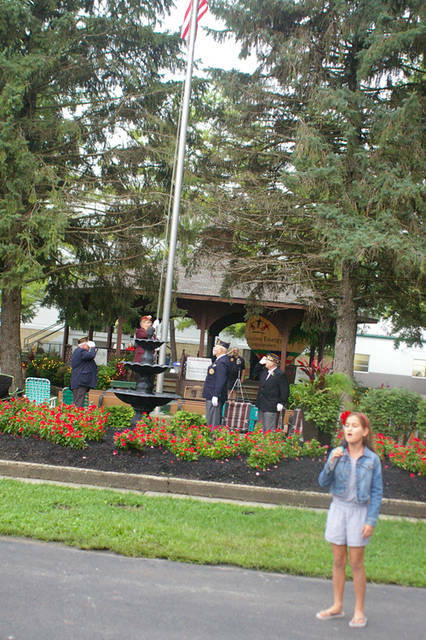 Mora Menzie, the daughter of Sara and Jake Menzie of Arcanum, sang the national anthem during the flag raising and wowed the crowd gathered near the Gazebo. 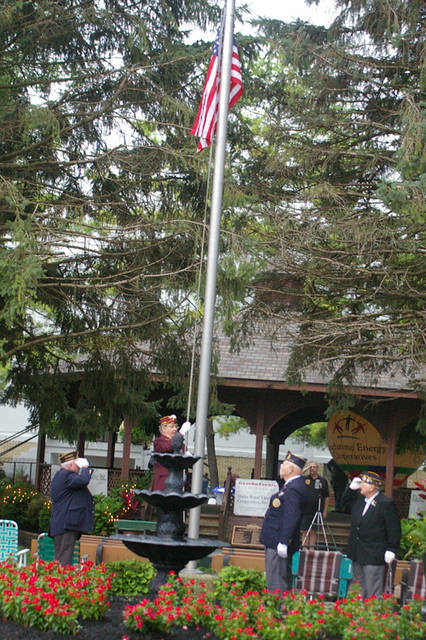 Prior to offering an opening prayer, Rev. 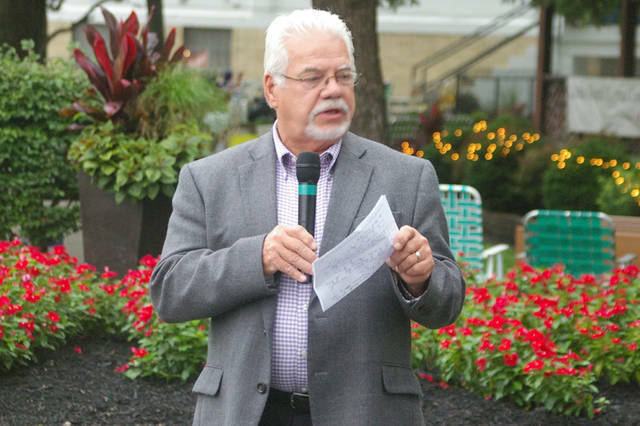 Terry Haworth also took time to comment on the singing ability of the soon-to-be fifth grade student. 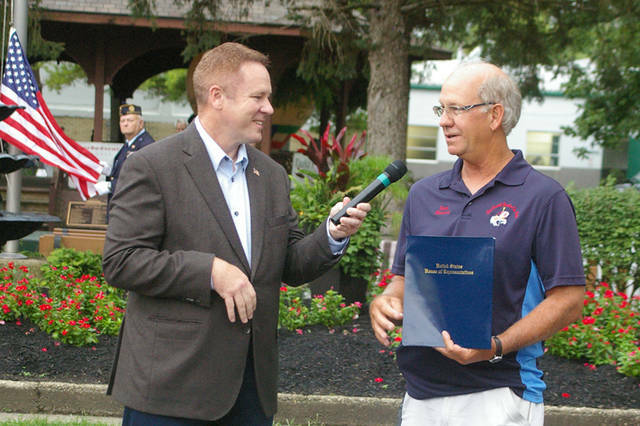 The Fairboard also recognized Josh Macaroni of Primetime Amusements, which supplied more than 30 rides for this year’s Fair. 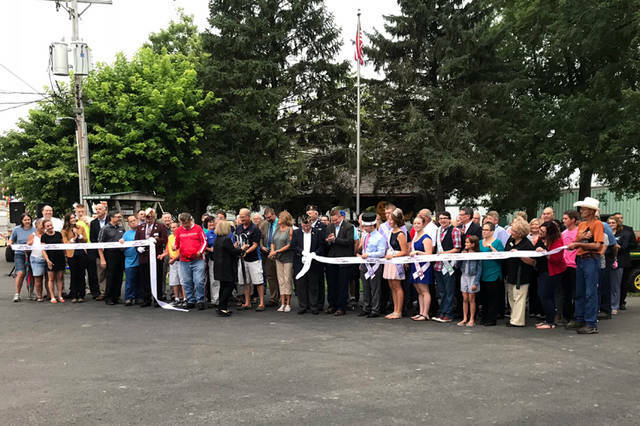 Darke County Chamber of Commerce President Sharon Deschambeau facilitated a ribbon cutting ceremony, which opened the 162nd annual Darke County Fair to visitors.